Hi all, so right after the bold move of PM Narendra Modi on Black money that left the country to debate on Demonetization, it also started a contest among different sectors of the country to became fully cashless, and right now looking to the situation CBSE leads the race. 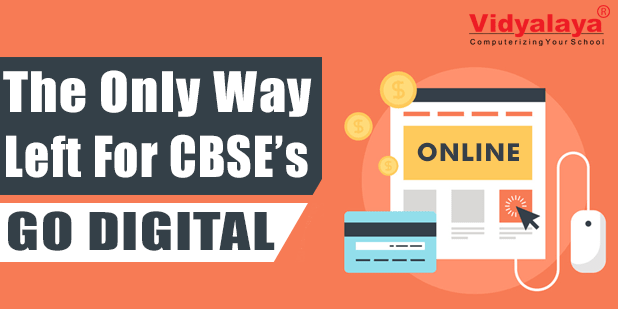 In last month CBSE had taken two main decision to make things go digitized, with fees transparency and online reciprocity of students certificate and on 13th December, CBSE taken a huge step by releasing the circulars to schools to take all kind of fees or payment online from January 2017, which give them a good lead to get the crown becoming maiden cashless Board in India. And as the matter of fact, even the salaries of teachers and staff will also be done through bank transfer. CBSE is Digitizing itself, What About You? According to the directives of Union minister of Human Resources Prakash Javedkar, CBSE schools are told to accept the fee or any other payment via digital mode only from upcoming January. With NEW YEAR, a new way to make and collect payments will start in CBSE. Moreover, the salary of staff of schools from Peon to Principals will be done through Bank transfer. In a letter, CBSE secretary Joseph Emmanuel has directed the principals to introduce digital and cashless ways for collection only through online. Although it is a wake-up call for schools collecting fees on liquid cash to go online, it also rings the bells for School ERP solutions provider to provide Online Payment Integration with their software, if they want to be in a race. Earlier all schools in India weather afflicted to CBSE or not are ordered to get the swipe machine and plastic card facility for the transaction of fees, after this sooner or latter State board will also go fully cashless in terms of fees collection. Although it will make chaos in the system to go fully online for fees, just like we saw after the announcement of Demonetization, but it is a good and likable decision in order to make transactions on record, that will minimize corruption in education domain. More than 1200+ schools are integrating Online Payment Gateway integration with their Vidyalaya School Software, and showing their support to became a cashless educational Institutes. So whether you support or not India is moving towards the cashless society and CBSE leading the way.